And Why Is User Experience So Important? 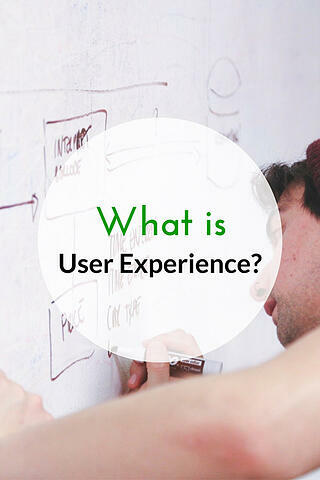 User experience (UX) in web design is anything that a visitor experiences while on your website. It can include the obvious elements like reading your content, to more intangible components such as how long a page takes to load. Focusing on user experience during the website design process can make a difference in your website's success with your clients and prospects. Here are a few key ways to look at UX, and some tips for optimizing your website to make it the best possible experience. The human brain is good at processing visual cues. In fact, researchers at MIT found that the brain can process and recall images it has seen for as little as 13 milliseconds - which is more than twenty times faster than blinking. Most of the information our body gets is visual, and one look at an image can tell us more about a subject than multiple paragraphs of text. All together, this means that visual illustrations, graphics, or photos are an essential part of good web design. They help to set the user's expectations, encourage them to think and react in different ways, and convey information on a level that text simply can't match. If someone is visiting your website, chances are they have some sort of a problem they're hoping you can solve. Offering unique and fresh content is important, because it gives them a reason to visit your site instead of someone else's. Unique content is also one of your best opportunities to form a good first impression. If you sound like an expert - like someone who really knows the subject and can answer their questions - visitors are more likely to trust you and listen to whatever you have to say. White space is another important part of good web design. Most readers don't want to see enormous blocks of text - that's hard to read on a small smartphone screen, and people tend to skim content quickly before diving in to read an entire blog post. Make sure you break up the text for easy skimming. We recommend breaking up paragraphs into a couple fo sentences, using headings throughout your blog, and using bullets and numbering where appropriate. These formatting functions also create much-needed white space throughout your site. First, ensure you have decent margins so the text isn't going right up to the edge of the screen. Second, keep your paragraphs to no more than a few sentences at most, as we're doing here. A call-to-action (CTA) is a key part of your website because it tells the reader what to do next, and they're easier to design than many people realize. CTAs are great because they benefit both you and your visitor. You get to let your visitor know exactly what you want them to do next and they get to be easily led through the content on your website. The trick with a CTA is to think about your visitor and what their needs are, or what they are looking for from you, and to take them to that information via a CTA. A CTA can also be a call to contact you for more information. Choose wisely based on what you believe your audience is looking for. Modern websites need to load as quickly as possible. As a general rule of thumb, every second of loading loses about 7% of your visitors - so if your page takes three seconds to load, that's about one of every five potential customers lost just from that. Now, there are times when you can't control the loading speed - if users are on a slow network, for example, your ability to affect their experience is limited. However, you can help to improve loading speeds by minimizing the amount of data used. For example, try configuring your website to display a 'mobile' version of each graphic you use, scaled down on your end to reduce the file size. Graphics and videos are often the biggest data hogs, so smart web design carefully moderates their use and never sets them to automatically load - let users ask for it instead. We have found that focusing on your user experience as you design or redesign a website can make a real difference in how well the website performs. Design choices become much simpler when you are focusing on what the user needs in the process. Try it out and let us know if you have any questions or tips! Breezy Hill Marketing is a Vermont Web Design and Marketing Agency with a focus on creative designs and customer service. Through our blogs we work to provide real value to our customers and help answer many of the questions we encounter in digital marketing. Feel free to send us a question that you would like to see answered!